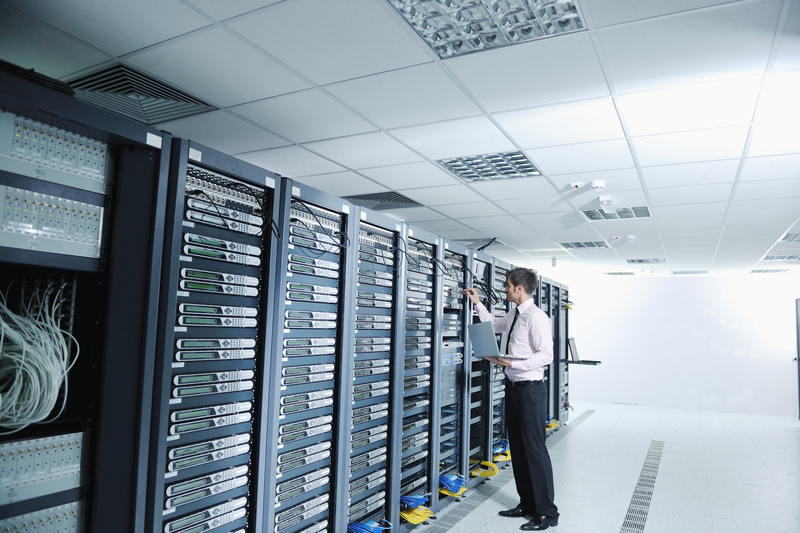 No one will be better informed than a Canadian web hosting service provider to detail the way today’s data centers can really ramp up operating costs. There’s a whole host of reasons for that, but nearly every one of them is contained in those centers’ digital architecture, and their sensors and instrumentation specifically. Making correct analyses of where inefficient operation is occurring is often beyond the means of even the most digitally savvy of us, but certainly not for the smart folks at Intel. Intel’s Data Center Manager helps data center operators lower costs and extend infrastructure life spans by automating data collection and presenting insights into ideal operating conditions and configurations. It involves identify and monitoring as many individual data points, so when there’s a problematic inefficiency, users are able to know exactly where it is. One of the common issues DCM data reveals is a need to increase the temperature in datacenters and thus minimize cooling costs. This shouldn’t come as a surprise entirely, given the ever-increasing workload these data centers face and the according way they will tend to run hot as a result. There are more data points than ever, and so by extracting that data and looking at it from a more objective perspective, you can be confident in choosing to turn up the temperature as a means of lowering your air conditioning costs. From there, the DCM team can set threshold levels and implement algorithms to try to predict temperatures and to alert datacenter operators of potential problems. All hardware manufacturers follow the Intelligent Platform Management Interface, or IPMI, specifications to report performance metrics independently of the hardware’s CPU, firmware, or operating system. Each brand customizes their IPMI feed slightly to differentiate their products, and that’s to be expected. DCM provides a simplified data feed to infrastructure and application performance managers to interpret or to connect with a facilities management interface. The out-of-band solution has its own discovery mechanism to locate network devices and languages, and if a new language surfaces that’s unrecognizable, it’s added to the library. Intel reports that updating and maintaining this library is a priority. Off the success of DCM, Intel asked the development team if they could access any other useful information. By running a remote session, they found they could access logs and BIOS data to monitor system health metrics. DCM’s companion product is called Virtual Gateway (click here to see Intel’s product detailing) and it features a set of APIs that let datacenter operators tap into those resources with a keyboard-video-mouse (KVM) interface. Intel’s logic here is in the understanding that not many data center operators will want to add more hardware unless it’s absolutely necessary, and Virtual Gateway allows them to avoid that scenario. Lastly, it’s good to know that all data center hardware built after 2007 will have at least some degree of compatibility with Intel’s Data Center Manager, and that includes many already-installed / long-serving components from are not made by Intel. No matter what business you’re in, you want to keep operating costs reasonable and for those of us in the web hosting business this is an extremely valuable tool that allows us to pass on the benefits of efficient data center operation along to customers in the form of lower service rates. Here at 4GoodHosting, we’re always on the prowl for any such resource that allows us to do what we do even better day in and out and provide you with best web hosting services at the best prices! www.merriam-webster.com is pretty much the go-to online dictionary of choice these days, and it offers a full 10 different categorical definitions for the word domain, but most people will understand it to mean ‘space thats yours.’ The prefix ‘sub-‘ generally indicates a state of being beneath or under the suffix, whether literally or figuratively. Here at 4GoodHosting, we’re web hosting experts in Canada but we’re the furthest thing from that when it comes to dictionaries. Just this once though we’ll take a dissection approach to the word subdomain, and talk briefly about how it relates to web hosting as a whole. If we’re taking the literal meaning of it based on what’s explained above, it means ‘under space’ and while that’s vague and indeterminate it’s still fairly applicable. A subdomain is the part of the website address before the domain name. More in sticking with our definition here though, subdomains are known as ‘third level’ domains, or canonical names, and as such they’re ‘beneath’ a website’s standard URL that’s registered, recognized, and functional within web directories. To put it more simply and understandably, a website’s URL will begin with the very recognizable http: (hyper text transfer protocol) – but you’re probably more familiar with it as it’s subdomain – www.______. com / ca etc etc. Let’s use Merriam-Webster again as our example here. Their URL is https://www.merriam-webster.com/ but you’ll know them and link them with subdomain shown up on the first line of this blog post. That’s a subdomain! Subdomains are commonly used to categorize portions of the website, and they can be easily moved to another server if the category gets very popular. Subdomains are also used by free web hosting providers to resell web space under their own domain name (e.g. http://membername.hostname.com). Each member will have their subdomain, but every one of them there will still share the domain name of the hosting provider. 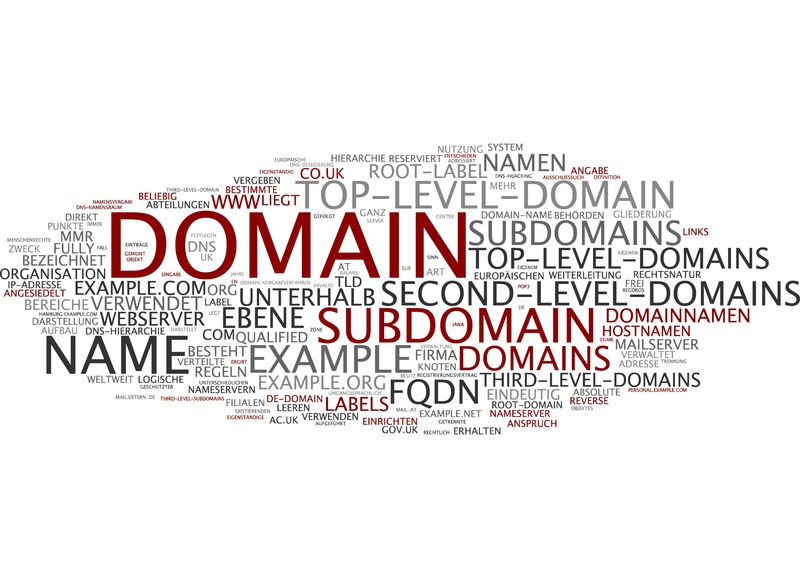 Subdomain names are also practical to balance the web servers for a high traffic website. Multiple web servers are assigned different subdomains like www.sitename.com, www1.sitename.com, www2.sitename.com etc, though each of them contain the same application code. When the request comes from the browser, the load balancing software redirects it to one of these servers. DNS load balancing is a simple method of load balancing using subdomains pointing to different IP addresses. First and foremost, subdomains makes the URLs shorter and easier on the eyes. 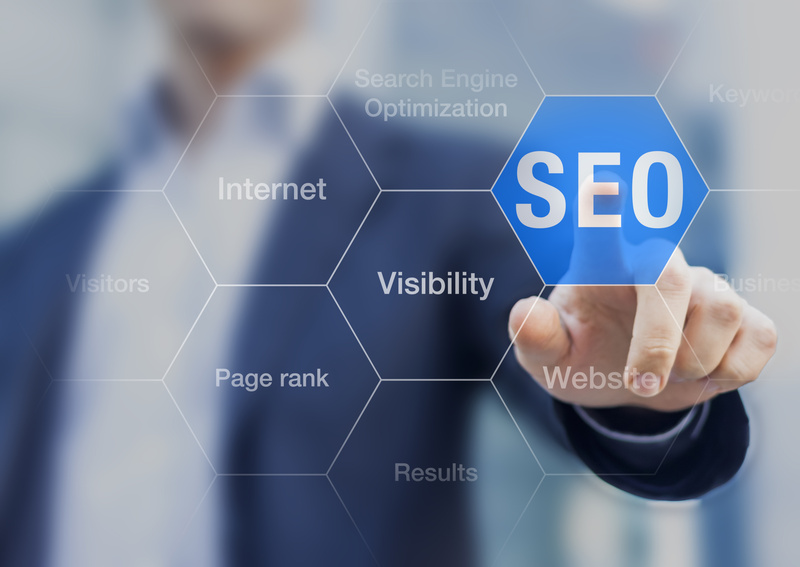 It allows website owners to categorize the content of the website, and – most importantly – facilitates better search engine rankings as most engines treat the subdomain as a separate website address. However, there are certain things to consider before setting up subdomains for your website. In addition, your website stats will often not include the statistics of the subdomains and you’ll have to set up separate statistics for your subdomains. 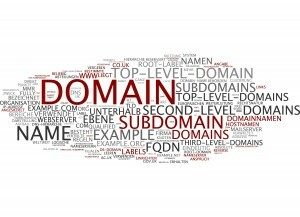 Subdomains allow a website to be broken down into smaller pieces without losing the brand image associated with the domain name. The subdomains can be hosted on separate servers in order to reduce the burden on the main domain hosting server. Many web hosting providers do not provide subdomains in their hosting packages and / or charge extra for subdomain setup and maintenance. It’s also common that if you have a subdomain and want to move your site, you have to choose a provider which supports subdomains. So if you’re looking for Canadian web hosting with subdomains included, we’ve got that for you with our Business and Advanced web hosting packages, competitively priced and featuring all the rock-solid reliability that 4GoodHosting is known for. The very nature of the two terms ‘want’ and ‘need’ make very clear that there’s a big difference between the 2 of them. The majority of the time we will want something, but it’s hard to rationalize saying that we truly need it. There are exceptions to this of course, and considering we’re going to be talking about speed here this week we’ll go with an automotive analogy. Many car enthusiasts – and guys in particular – would like to have a sports car with a powerful V8 engine under the hood and performance suspension tuning, but in reality their Toyota Corolla suffices for their day-to-day driving habits. Take a highway patrol officer, however, and having a vehicle that’s got plenty of acceleration and top-end speed at its disposal is every bit a necessity. Nearly every Canadian web hosting provider is going to make a point of offering speedy web hosting servers available to their customers these days, and fact is that’s a reflection of a demand based much more in need than it is in want. If your website serves as the primary contact point for e-commerce aims, then slow-loading websites and ones that are sluggish to respond may well be taking a big chunk out of your sales and revenue. 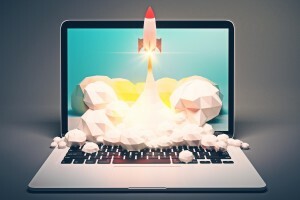 Sales and conversions come from the combination of effective content with faster loading speed of your website, and you had better believe that prospective customers are as impatient as ever. For years now, surveys have showed that loading speed of websites has a great impact on their traffic trends. So how is yours measuring up, and is it being hindered by slow servers? ‘Bounce rates’ are a statistical reflection of visitors who choose to leave your site prematurely. A number of studies have proven that the average visitors will leave your website if it does not become accessible in 3 to 6 seconds. We could go into detail here, but really there’s no need – once they’ve bounced, they’re likely not coming back, much less making a purchase of any sort. Here’s a relevant example. Shopzilla generated 12% more revenue by simply improving their website speed from 6 seconds to 1.2 seconds. That’s a significant jump, and shows that even a matter of seconds in website response time can make a big difference. Similarly, other findings over the last few years seem to indicate that you can improve your conversion rate by up to 2% for every second you up your website speed. Of course, that will vary and be dependent based on the nature of your business and type of products, services – but the appeal of that statistic should be very genuine and something you want to keep in mind. The ideal loading time of a website is under 3 seconds. If your website becomes visible in 5 seconds, you’re doing well. If it is under 10 seconds, it’s acceptable – at best. If your website exceeds 10 seconds, however, there’s no debating it’s going to be detrimental for you. There are several performance metric tools available to report the performance of your website speed along with web page improvement suggestions. You can optimize the structure of your code to get faster responses, but for starters you need to be with a web host that has servers which pack the vroom-vroom you need. Server speed may be an issue if your website is located on one of the more inexpensive shared hosting packages. The architecture of your web pages and the presence of more dynamic multimedia content (video etc) can be big factors in the need for more speed from servers. If you have a business website, mobile application or a professional service website, VPS (virtual private server) hosting is one option to get you the speed you need. 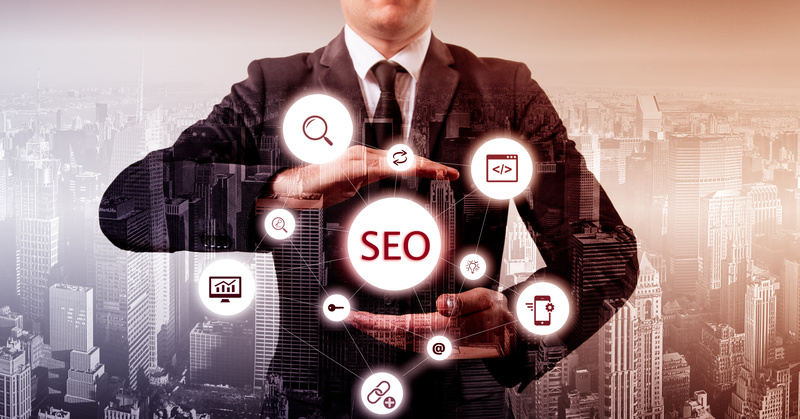 So we’ll conclude this week, by stating emphatically that here at 4GoodHosting we know that search engines out there incorporate page load timing in their search ranking factors and they, in part, give you back ranking points, traffic and sales. Our servers and solid-state drives are as fast as you’ll find – period – and we’re constantly testing them to make sure they stay that way. For SEO Services please visit http://4goodhosting.com/seo-services. It’s increasingly rare these days to find a business that doesn’t have their own website. As is the case with every one of them, there’s a whole lot of work that goes into a website – planning, designing, and the actual construction of the different HTML elements that together make up those web pages we’re happy to just visit and browse through as we like. Be aware that there are choices you can make when putting your website together, however, that can have negative repercussions down the line and quite possibly sabotage the successes you envisioned for yourself when you decided to take your business onto the World Wide Web. Believe us when we tell you that substance trumps flush in a big way when it comes to the entirety of your online presence. Stressing to your web designer that it’s all-important to have a ‘cutting edge’ site is creating the wrong perspective for what you want to be accomplishing here. Keep in mind that this isn’t a competition about ‘looks’, it’s about effectively conveying to your customers THAT WHICH IS IMPORTANT TO THEM – which, in nearly every instance, is a quality product or service that’s priced reasonably and comes with positive reviews from buyers just like them. What your website looks like will pretty much be the last of their considerations. For sure, hiring designers or developers with many years of experience and a proven portfolio of work can be expensive. The best professionals can and do charge what they do because – in addition to designing the website – they also often research, plan, and strategize the entire conversion process and site flow as well. Needless to say, you stand to benefit IMMENSELY from this value-added part of their service, and these types of analytical approaches are very likely going to be beyond the ability of the guy or gal you know. Hiring a qualified design pro can also mean that your project isn’t completed as quickly as you’d like. Without going on at length, we’ll just suffice to say that – again – any delay that’s related to making your website a more soundly constructed portal THAT WORKS TO SERVE YOUR MARKETING INTERESTS effectively is very much worth it in the long run. Conversions, sales, followers, in-store visits (if you’ve got a brick n mortar) etc etc. – you want them, and working with a reputable and experienced web designer / developer is the straightest path to getting there. Maybe so if you’re fine with just staying where you are in as far as the size and scope of your business (and its success). In all likelihood though, you’d like to see more out of your business and in this day and age the BEST way to build your business is to promote it effectively online. And if we were to tell you that there’s not too much involved in going from an electronic brochure to a fully-vamped website, why wouldn’t you choose the one that’s going to give your more sales / service opportunities and make your brand all the more visible? This starts with answering one direct question – what is it that you need your website to do? The answer can vary, but it’s safe enough to assume that anyone who’s in business will have ‘helping us sell more of our product(s)’ at or near the top of their list. Once these questions are answered, your designer should be able to start making design choices that are in line with the findings. Your website’s primary focus must be on attracting the right prospective customers to your site, keeping them there, and converting many of those visits into conversions etc. Be optimized for people and their searches through Google, Bing etc. A frustrated or flustered visitor is never a good thing, and 9 times out of 10 they become a contributor to your site’s bounce rate (also a big negative). Your website must be explicitly user friendly, where content is supported, messages are clearly communicated, calls-to-action are firmly identified, and visitors are guided – subtly – toward a conversion. This one tends to be overlooked sometime, but it’s important to remember that there are likely hundreds, if not thousands, of websites out there that are similar to yours. You need to distinguish your site from them as best you can, ensuring that your visitors are likely to remember you, respect you, and – down the line – even refer you! Some of this stuff can be very overly-conceptual for many folks, so if it’s above and beyond your comprehension then do trust your website to a digital marketing professional. You’ll be glad you did. Every page of every business website has some type of conversion objective, even if that objective is simply to redirect them to the page where you’re making your primary conversion objective accessible. This last part if important to keep in mind, because it’s a fact that not every visitor to your website will enter it via the landing page. A clear, comprehensive website strategy outlines the paths to conversion from multiple entry points on the website. How they move from their entry points, and what type of information they request on their way to a) buying or b) bouncing is very relevant to take into consideration. ‘Know’ content – lets them learn about you, your brand, and the products and services that you believe will be of value to them. Always be sure to show yourself to be an authority with your subject matter. ‘Trust’ content – to attach credibility, reliability, and trust to you in the eyes of your visitors. Shows you to be an expert with a history of proven results, and conveys an understanding that there’s no risk to choosing you as a retailer or provider. Now you’ll have a more broad-reaching conceptual approach. Remember – don’t rush headlong into anything, think things through and get second opinions along with revisiting your own. Defining DNS…. And What’s Exactly In It For Hackers? DNS isn’t exactly a buzzword in discussions among web hosting providers or those in the web hosting industry, but it’s darn close to it. 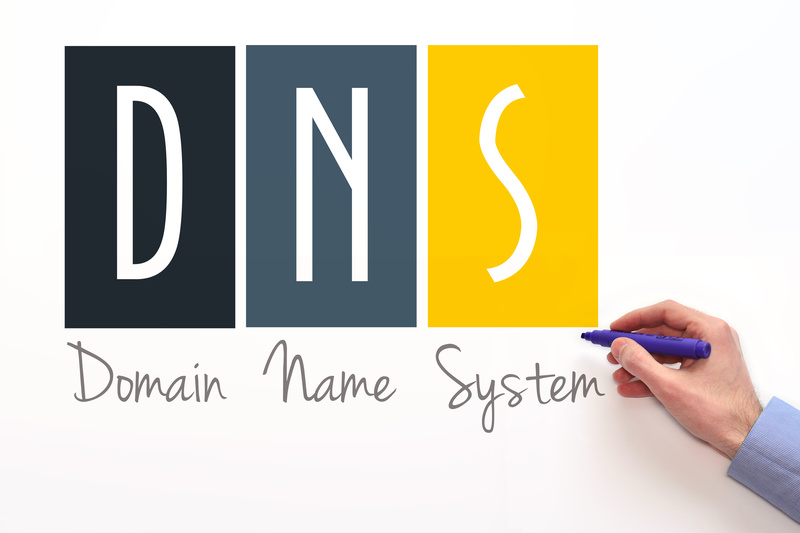 DNS is an acronym for Domain Name Servers and what DNS does is see to it that after entering a website URL into your browser you then end up in the right spot – among the millions upon millions of them – on the World Wide Web. When you enter this URL, your browser starts trying to figure out where that website is by pinging a series of servers. These could be resolving name servers, authoritative name servers, or domain registrars, among others. But those servers themselves – often located all around the world – are only fulfilling an individual part in the overall process. The process itself is a verification of identities by means of converting URLs into identifiable IP addresses, which the networks communicate with each other and by which your browser confirms that it’s taking you down the right path. In a world with literally billions of paths, that’s a more impressive feat than you might think, especially when you consider it’s done in mere seconds and with impressive consistency. The DNS is compromised in the way browsers essentially can’t figure out where to go to find the information to load on the screen. 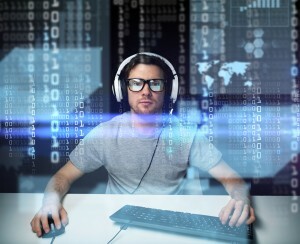 This type of attack happens typically involves hackers creating a little army of private computers infected with malicious software known as a Botnet. The people that are often participating in the attack don’t realize their computer has been compromised, and is now a part of the growing problem. Why Go To So Much Trouble? With all of this now understood, it begs the question – What’s in it for hackers to do this? It’s believed that the initial appeal of hacking is in proving that you can penetrate something / somewhere that’s purported to be impenetrable, and where someone with a skill set similar to yours has gone to significant effort to make it that way. It’s very much a geeks’ chest thumping competition – my virtual handiwork is better than yours! As hackers become established and the ‘novelty’ of hacking wears off however, these individuals often find new inspiration for their malicious craft. The more time they spend doing it, the sooner they realize that a certain level of skills can introduce them to opportunities for making money with hacking. Among other scenarios, this can be either by stealing credit card details and using them to buy virtual goods, or by getting paid to create malware that others will pay for. And that happens much more often than you might think. Here at 4GoodHosting, we are constantly reevaluating the security measures we have in place to defend our clients’ websites from DDoS attacks, as well as keeping on top of industry trends and products that help us keep hackers and their nefarious handiwork away from you and your website. It’s a priority for sure.